In today’s episode we explore what are the ‘pitfalls and poisons’ of the modern dating culture, so if you are DATING, this episode is for you! I personally have put myself out there in the online dating world. As a polysensual my experience is different, but let me tell you that I have experienced for myself the pitfalls and poisons of the modern dating culture that Arturo Santos talks about in this episode. Have you put yourself “out there” yet? What online dating platform are you using? And why? Are you experiencing any F*E*A*R around this? Dating is such an interesting topic and a truly fascinating experience, that our interview was supposed to be 30 minutes but between Arturo and I the conversation turned out so yummy that we couldn’t stop. There is so much juiciness here to help you in your dating journey. In today’s episode, we will explore what is actually happening out there online. 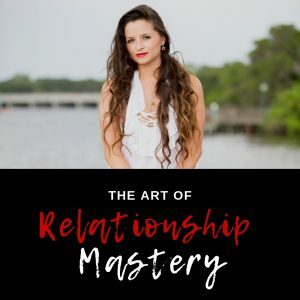 Let me tell you, A LOT is happening and it can be overwhelming to the point you may end up settling for less, giving up and missing the real opportunity of meeting someone you connect with, align with, and can create the amazing relationship you truly desire. If you were in the online dating world 15+ years ago, 10 years ago, 5 years ago and even 2 years ago, you have to become aware that today it is a lot different. The mindsets are different, the culture is different, and even the platforms and their protocols are different. What are the concerns of online dating platforms? What is missing in online platforms, especially profiles? Are we going too shallow with ourselves? Now, this interview didn’t end there, we went deeper with the questions that truly made us think, and I am sure they will make you think as well next time you go on a date. What considerations should I have when I go online dating? Will my energy influence the outcome of my date? Am I showing up fully in my dating life? Or am I showing up for self-gratification? Deep thinking right? Remember dating is a journey of transformation of self, so we should take the time to date consciously and purposely. ~ Dating is a journey of self-inner work ~ the more we do our inner work the juicier our relationships are. Let me know what you think of the interview and what you gained from it.